Display and gather beautiful moments. Do you want to strengthen your community? Or brighten up your event? Share your beautiful moments together? 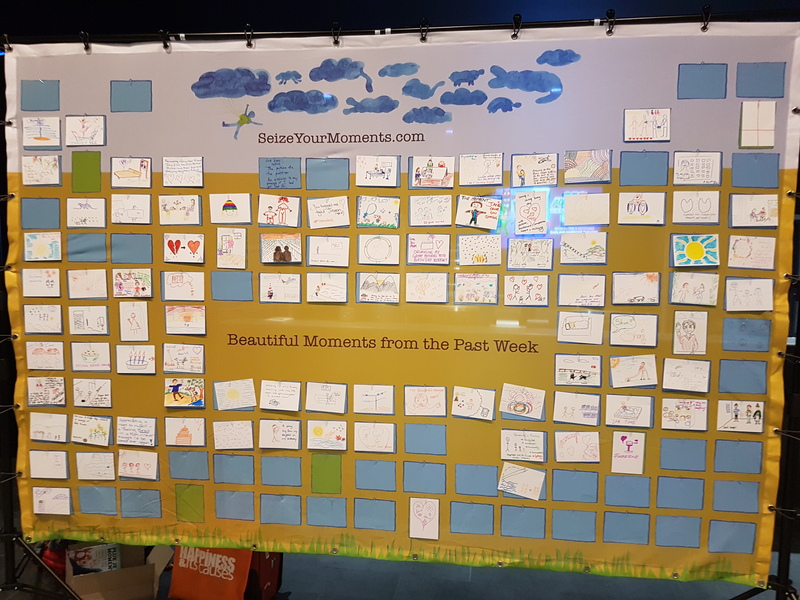 With this beautiful moment station, you can display 144 beautiful moments at once. The banner comes in a stand 3 meters / 10 feet wide. The hight is adjustable to maximum 3.5 meters / 12 feet. The banner is 2 meters / 6.5 feet high The station will be delivered with 500 beautiful moment cards, thank you cards and 100 markers.